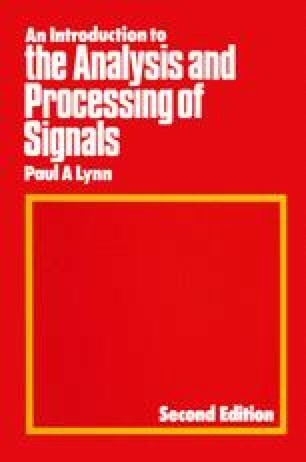 Until very recent times, advances in the art and science of signalling have been almost exclusively stimulated by the need for military intelligence. The use of smoke signals and of drums for conveying information in situations where a human messenger would be too slow goes back beyond recorded history, and both Greeks and Romans were practised in the use of light beacons in the pre-Christian era. Late sixteenth century England employed a long chain of beacons to warn of the approach of the Spanish Armada, and at about this time the term ‘signal’ came into general use to denote ‘a sign or notice, perceptible by sight or hearing, given especially for the purpose of conveying warning, direction or information’. By 1806 it was possible for a semaphore signal to be sent from Plymouth to London, and acknowledged, in three minutes. The invention of the famous signalling code by Samuel Morse in 1852 and the development of the electric telegraph greatly enhanced the speed and the reliability with which messages could be conveyed, and led to the widespread use of signalling for purposes other than warfare and defence.